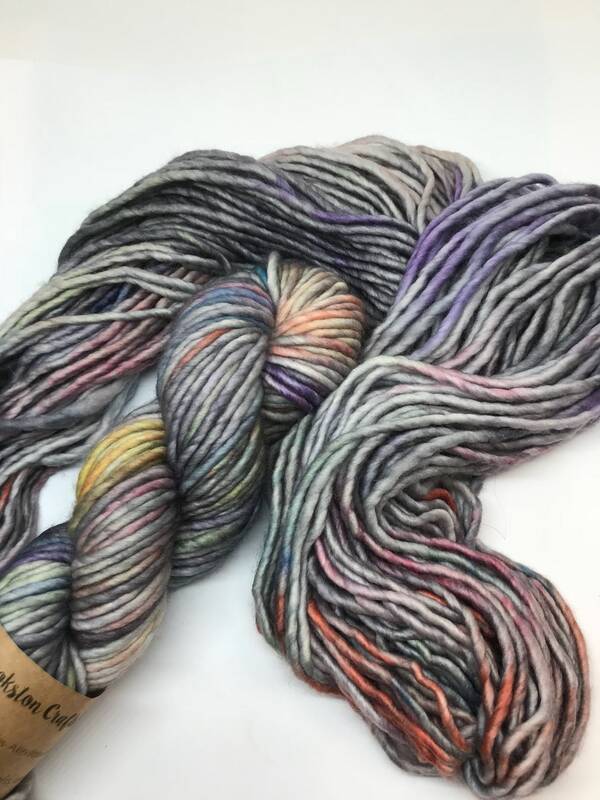 This is my current favourite base - 80% Superwash Merino with 20% Nylon. 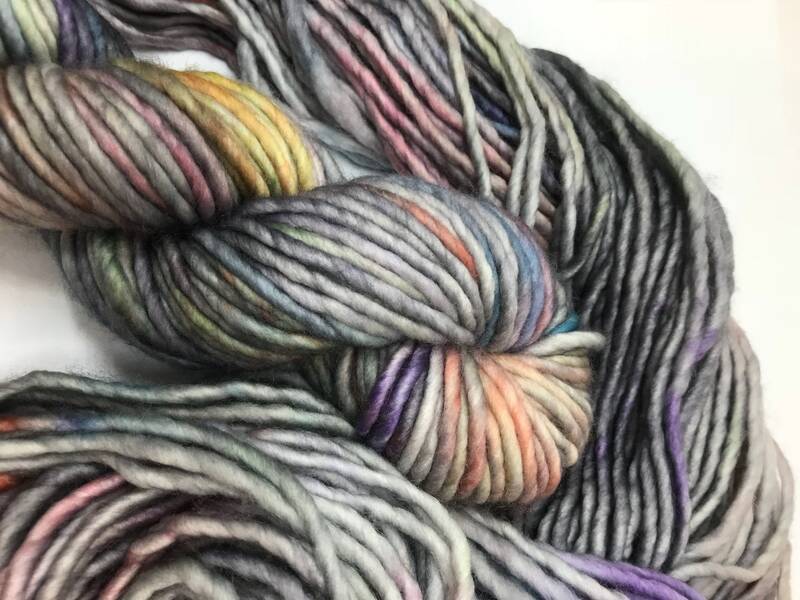 It is Chunky / Bulky weight so perfect for super speedy projects. 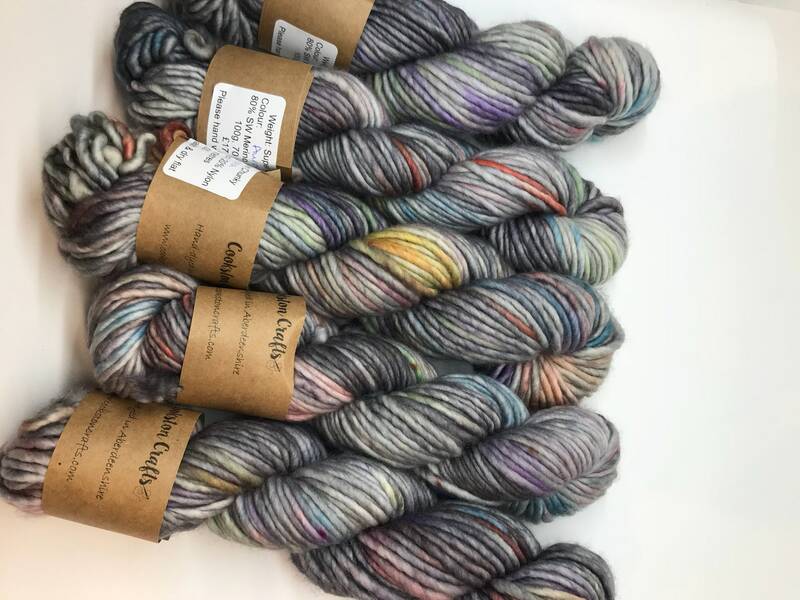 Just one skein is enough for a hat or cowl. This is a single ply roving style yarn, sometimes referred to as "singles". It gives excellent stitch definition and the nylon content helps it hold it's structure and prevent too much pilling. 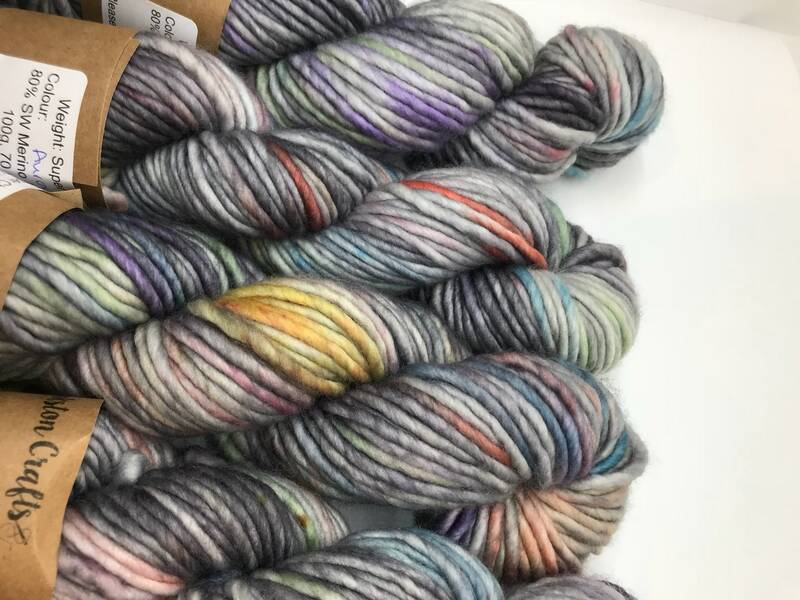 This yarn has been dyed to give a tonal effect with speckles using various colours of professional acid dyes. 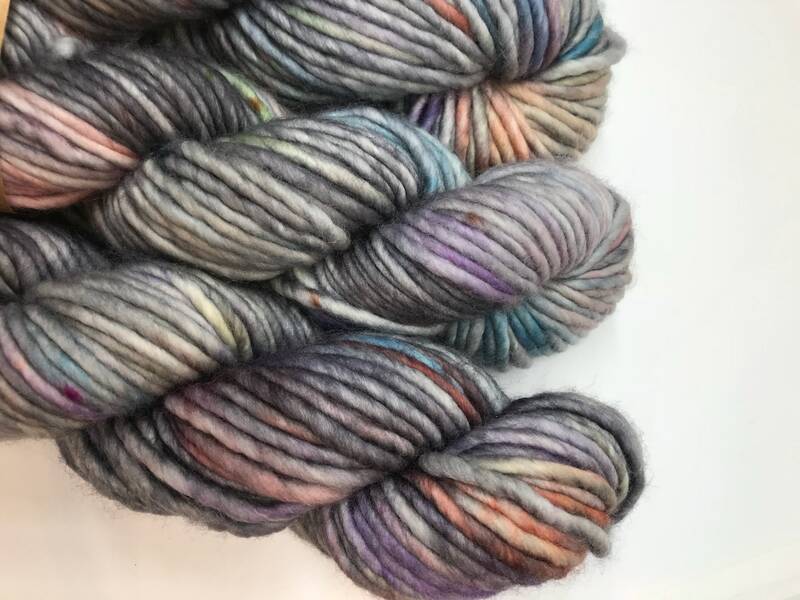 The yarn has a gorgeous softness and sheen to it. It's very squishable!